In summer the valley is filled to the top with light and wine, and to see it like that, clean and green and gold with the sun streaming down the long rows of vines, is almost to peer through time, for the Napa area has looked roughly thus for more than 160 years. Standing at the edge of the croquet lawn at Meadowood in St. Helena, one’s sense of the calendar is further confused, as is the notion of place. Set amongst a fir and oak forest in the hills over the valley floor, Meadowood looks to be the best kind of late Victorian East Coast retreat. But here it is in California, with a quiet golf course and a fine restaurant. Just up the road in Calistoga there’s a hot springs hotel that opened in 1862, while driving the other direction gets you to Yountville and to modern tables set by some of the country’s best chefs. Old vines and new wineries, old attractions in new settings, a pioneer-era work ethic and a refreshing new commitment to—or is it a rediscovered respect for—the land itself, so beautifully exemplified by the likes of the CADE Estate Winery. The conundrum posed by the Napa Valley is not where you are in America, but rather when, and in the fact of that query lies the simple truth of one of the country’s most beautiful places: for all of its history, Napa is timeless. California’s first wine grapes went into the warm earth of the Baja Peninsula in 1683, but a drought two years later ensured they didn’t last long. It wasn’t until 1779 that vines really took hold, when a Franciscan order led by Father Junípero Serra put a vineyard in the ground at Mission San Diego. Over the next century the grapes followed the people, and the money, north. In January of 1848, at the outset of the Gold Rush, 1,000 people lived in San Francisco. By the following December there were 25,000, all of whom were thirsty. For the nearby Napa Valley, it was the beginning of everything. George Yount had planted a few grapes here in the 1830s, but it was the ensuing decades that saw Napa established as a wine region, thanks to vintners like John Patchett, Charles Krug and Karl Wente, among others. In 1863, in a bid to show off America’s new wine prowess, clippings of American grapes were proudly taken to Europe—where they immediately infected continental crops with a vine-eating bug called phylloxera, to which the American vines had developed an immunity. Over the next 20 years, while French and other European vintners battled the bug and saw their supplies decimated, American wines flourished and California became a well-regarded—and heavily awarded—global wine supplier. Aside from a dip in production and an oversupply of low-quality grapes during Prohibition (1920–1933), which forbade the “manufacture, sale or transportation” of alcoholic libations, California wines have been thriving ever since. Like the state’s wine industry, we’d started our journey in Southern California, traveled to San Francisco (see sidebar) and finally arrived in the Napa Valley town of St. Helena and the exquisite Meadowood resort meadowood.com. Two valets—Jervin and Keith—met our car in front of the resort’s main building and, without pretension, quickly grabbed our bags and led us across a small bridge and up some stairs to one of the best accommodations I’ve had the pleasure of visiting: a wonderfully clean, bright suite full of light and space, with a fireplace and comfortable furnishings well organized under the high peaked ceiling. The bags sorted, my wife opened the French doors at the foot of the bed and stepped onto our balcony, which overlooked the croquet lawn. “I’ll try that later,” I decided, looking down over the other suites and casting a glance at the on-site golf course as well. Before we became too comfortable at the resort, however, I wanted to begin exploring the valley’s wineries, and so it wasn’t long before we were pulling into the first of our trip. “Here we go,” I thought, looking forward to a week through red, white and rosé-colored glasses. I’d visited the Napa area many times before and have a long list of vineyards I enjoy. But this time around I was interested in visiting smaller operations, ones that are in it for love as much as anything. The first we found was Casa Nuestra, opened in 1979 by Gene Kirkham, an attorney who followed his heart to wine-making. The Kirkham family had been growing wine grapes in the area since the mid 1950s, but didn’t have a winery proper until Gene decided to leave San Francisco and move to the valley full time. Today, Casa Nuestra produces just 2,000 cases of wine per year (Gallo, the world’s largest winery, produces near 85 million) but any lack of size is more than made up for in soul. In addition to more common offerings like a Cabernet Sauvignon, a Meritage and a dry rosé, the winery sells a Tinto Classico and a Tinto St. Helena made from old-school “field blend” vineyards, which aren’t planted to a single varietal but are instead a mix of numerous varietals, some of which aren’t readily identifiable. It makes for a bit of a “grab bag” experience in terms of its flavor, but it’s right in line with Casa Nuestra’s free spirit and playful personality. Stepping into the tasting room feels like you’re entering someone’s country cottage, not a business per se. It’s made all the more charming by framed art and photos on the wall that nod to Gene’s love of music. Jon, the tasting room attendant, was immediately amicable, and within a minute we felt like we’d simply dropped by a friend’s for a chat. After we’d sampled the vineyard’s excellent lineup, we were inspired by their Verdelho, the product of an old Portuguese varietal that offers tropical pineapple-and-passionfruit refreshment with the faintest hint of spice. It wasn’t a difficult decision to grab a bottle for the fridge back at Meadowood. For good measure we threw a Chenin Blanc in there as well, another white refresher with grapefruit and melon that, while it will cellar well, had a short life expectancy in our care. After swinging by the Sunshine Market in St. Helena for snacks, we headed back to Meadowood and our balcony, put our feet up and enjoyed the spoils of the day. The next morning we decided to stay on property, and so I began my day with a fine breakfast in the casual Grill adjacent to Meadowood’s restaurant (simply named, “The Restaurant”). The Restaurant is a destination in its own right, with Chef Christopher Kostow’s creative modern cuisine and a fantastic wine list contributing to a well-earned three Michelin stars. Several tasting menus are offered, and we can’t recommend them highly enough. After visiting I wasn’t surprised to learn that the restaurant had also recently earned a James Beard award for outstanding service—a category in which the whole of Meadowood excels, in fact. The Grill is more casual, but certainly did the trick. Following breakfast I met with Doug Pike, Meadowood’s golf pro, and headed to the on-site instruction and range facility. 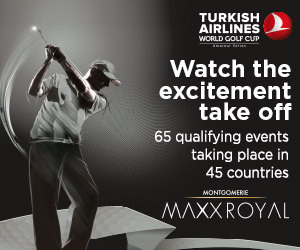 The facility features an instruction bay equipped with a top-of-the-line TrackMan Radar Unit, and a range/gaming bay, which presents a comfortable lounge setting in which friends can relax, hit balls and challenge each other to various games, also tracked with a TrackMan system. Pike, a local who’s developed an excellent reputation as a top teaching pro, can improve nearly anyone’s ball striking, and it’s well worth a stop by his office, if only to see the beautiful setting. The training facility sits at the side of the on-site golf course, a 9-hole design (seven par-3 holes and two par-4s) that feels as if it were carved from Tillinghast’s era, with light spilling around pools of long shadows that gather among the contours of the rolling, narrow fairways, swans and ducks paddling under willows that border water features and California live oaks spread throughout the entire layout. There are also quite a few fir and pine trees, the latter a testament to the property’s former life as a Christmas tree farm. Quietly dramatic, it’s a golf course from a Gatsby-era dream, and to play it with hickory-shafted clubs and a traditional ball (available for guests in the pro shop) is a charming treat indeed, though hickories aren’t required. Smarting from a drubbing on the croquet lawn, I decided more wine was in order, and so my wife and I headed to Elizabeth Spencer’s tasting room in Rutherford. Housed in the town’s quaint old post office, the tasting room offers flights of Elizabeth Spencer wines elizabethspencerwines.com in a lovely patio garden setting. The winery’s name is a combination of the two principle owners: Elizabeth Pressler and Spencer Graham who, as their website has it, are “partners in life and partners in wine.” In terms of taste, the wines are incredibly well crafted; for all of their big, sometimes rustic flavors, they’re very well balanced. The winery’s aim is to create wines of “intensity without excess weight,” and I’d say they’re doing just that. I’m a big fan of big wines, and the Pinot Noir is massive. Rich berries and black tea with a whisper of roasted orange peel give way to a finish that manages to evoke both the salt air of the Pacific coast and oven-baked plums. Despite my enthusiasm to enjoy it immediately, we decided to cellar this one for a while. Before heading back to Meadowood we swung into Frog’s Leap Vineyards to sample first-hand wines from a label I’d enjoyed for years frogsleap.com. In addition to creating great wines, Frog’s Leap is known for a strong commitment to the environment (all of the wineries we profile in this article are known for this to varying degrees). For more than 25 years, they’ve pushed organic grape growing, dry farming and other agricultural innovations, all driven not by politics or by marketing, but by what the winery claims is simply a desire to produce great wine—which they do. Napa is known for great Chardonnays, and Frog’s Leap’s doesn’t disappoint. I’m usually fond of big, buttery, oak-aged Chardonnays and find “modern” steel-aged examples lacking character, but if the offering from Frog’s Leap was cleaner than I usually enjoy it also allowed beautiful flavors to shine through. First aged in barrels, it’s then transferred to an extended “sur lie” aging in concrete vats. The result is a restrained wine that offers an essence of stonefruit, slate and lemongrass with a clean minerality and balanced citrusy acidity. Oysters or grilled seafood, anyone? Fantastic, and a great end to a great day. After another beautiful night’s sleep at Meadowood, we woke and headed to the town of Napa proper to visit friends. It’s not often that I’m surprised by breakfast, but the town’s ABC bakery—aka the Alexis Baking Company and Café—serves cornmeal pancakes with peaches and maple syrup that have to be eaten to be believed alexisbakingcompany.com. After a stack of those and a cup of coffee, it was difficult to imagine the day could get better, but it did. Following some sightseeing, we headed for the last winery of our trip, CADE Estate, located at the top of the valley on Howell Mountain cadewinery.com. It’s not on the beaten path—something we enjoyed—but CADE is leading the way to Napa’s future. The winery is the first organically farmed LEED Gold Certified Winery in the area, and it’s an inspiration. The LEED standards (Leadership in Energy and Environmental Design) provide various levels of certification targets that verify a commitment to the environment in terms of design, construction, operation and maintenance of “green” buildings. The whole of CADE was designed around the idea of partnering with (and preserving) the environment, and it’s a true wonder to see the place in action. Working with architect Juan Carlos Fernandez, the winery was built around the idea of sustainable winemaking, with building materials sourced from renewable and recycled sources. The beautiful and well-considered design works in harmony with the surrounding environment, saving energy and minimizing impact at the same time. All of this is great, but it wouldn’t mean much if CADE’s wines weren’t as wonderful. Thankfully, they are. 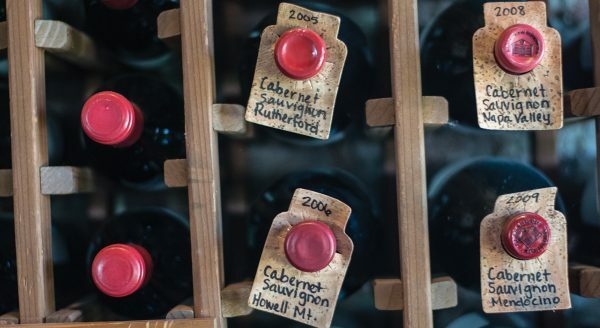 Owned by the same group that produces Plumpjack and Adaptation wines, CADE produces four wines, of which the Howell Mountain Cabernet Sauvignon was our favorite. Perhaps it was the fact that the day was ending, but the depth of the wine, which presented all the dark berries one would expect from a Napa Cab along with surprising hints of spice, strawberry jam and toast, was the perfect accompaniment to a sunset and the perfect ending to a glorious trip. Back at Meadowood, sitting on the balcony and looking up at the night sky, we reflected on the fact that we felt as if we would be returning to the modern world the next day, but in fact we were leaving one of the most forward-thinking and technologically sophisticated areas we’d visited in some time. Perhaps it was the way the light fell across the golf course, perhaps it was people dressed in all white playing croquet, but visiting Meadowood—and the beautiful, small corners of the Napa Valley that we’d seen—seemed like stepping into an old photograph, one presented in a modern frame. In Victorian parlance, the trip was bang up to the elephant. In any decade, perfect.